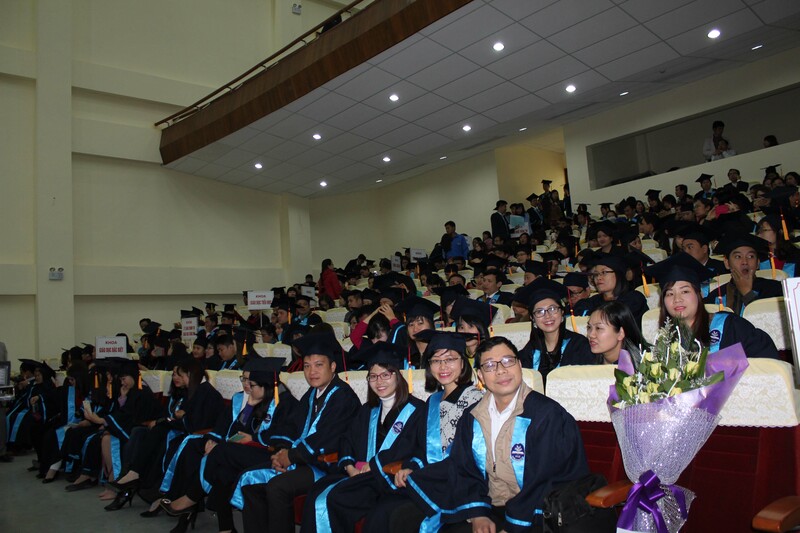 On March 3th, 2016, Hanoi National University of Education organized a solemn Doctoral degree conferment ceremony 2018, graduation ceremony and the 23th Master’s degree graduation ceremony. After the ceremony, M.A. 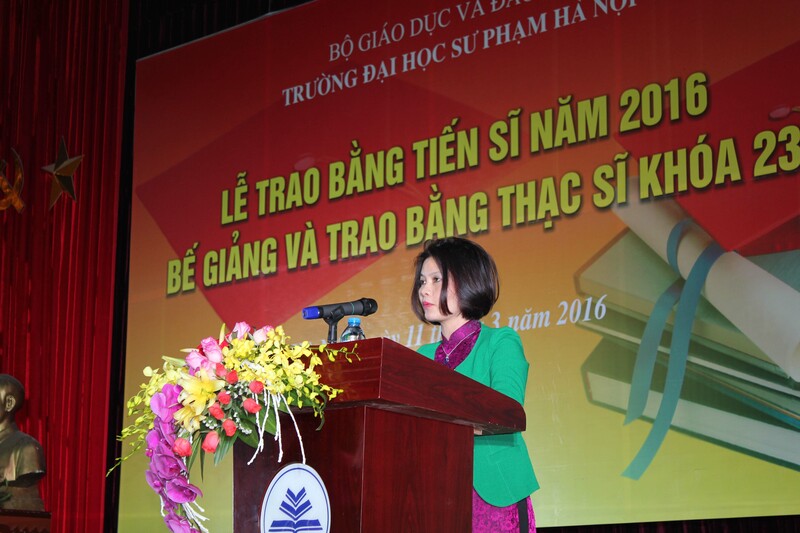 Nguyen Thi Thu Hang , the head of office for Postgraduate Affairs, declared Graduation Decision of the president on awarding 99 new PhDs and 1031 new Masters. At the ceremony, Pro.Dr. 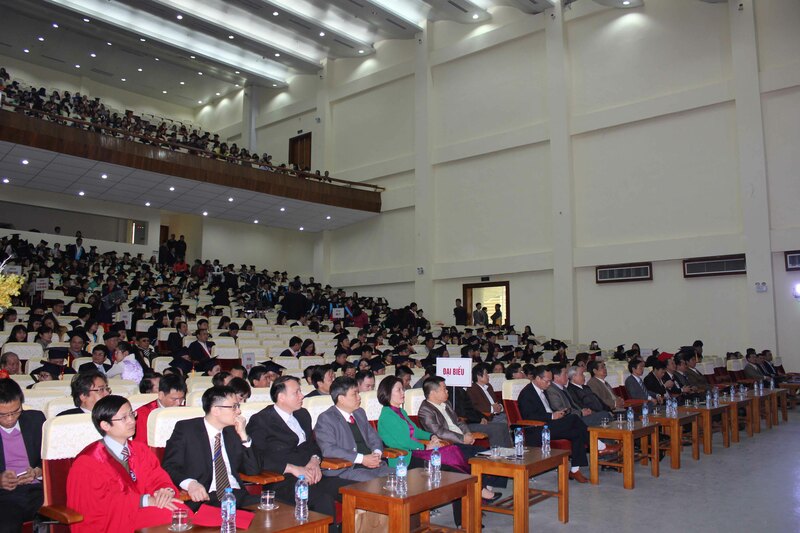 Nguyen Van Minh congratulated new PhDs and new Masters on their achievements. This showed the maintenance of valuable traditions of the university, constant effort of students and prestige of the university in the nation education system. The president expected new PhDs and new Masters to be pioneers in developing and protecting Vietnam country. With regards to achievements of post-graduate traning program at Hanoi National University of Education, Pro.Dr. Nguyen Van Minh said that: Over the past few years, our university have gained remarkable and long-term success, paving the way for a new development era and speeding up the renovations extensively towards the image of a modern university in the world and becoming one of the best universities of education in the future. On behalf of New PhDs and New Masters, Ph.D. Luong Van Cau expressed his great honor and pride for becoming a post-graduate at Hanoi National University of Education; moreover, he also expressed the gratitude for university managing board, lecturers and staffs at the university. The New PhD also said in a statement that Hanoi National University of Education is an ideal environment for learning and doing research. This environment offers favourable conditions for students to acquire knowledge, apply knowledge into practice and make enormous contributions to the development of basic science and science education of the society. Having finished learning at Hanoi National University of Education, New PhDs will confidently pursue their professions, keeping up with the developing demands of a society in the period of industrialization and modernization. M.A. Nguyen Thi Thu Hang, the head of office for Postgraduate Affairs, declared Graduation Decision of the president on awarding new PhDs and new Masters.